If you are looking at swimming pool pumps for your outdoor pool in Hickory, we are available to help you every step of the way. Swimming Pool Pumps in Hickory – When it comes to swimming pool parts and service in the Hickory, North Carolina area, you have come to the right place at S & H Pools. With over 30 years of experience in the swimming pool industry, we can assist you with every aspect of your pool care, from swimming pool opening and closing to choosing the right pool chemicals and swimming pool pumps. If you are looking at swimming pool pumps for your outdoor pool, we are available to help you every step of the way. Installation – Whether you have recently installed your pool or you are looking at swimming pool pumps because your old one has reached the end of its lifespan, we can assist you in choosing and installing your new pump so that it operates efficiently. Maintenance – From swimming pool opening and closing to general maintenance, when it comes to swimming pool pumps, our team at S & H Pools has got you covered! Call us any time, and we will come out to assist you. Repairs – Sometimes pool equipment needs repairs, so when your pool pump starts acting up, all you need to do is call us at S & H Pools. We’ll make sure your pump is in good working order and your swimming pool is safe for a summer full of enjoyment. If you are looking for a pool company that offers more than just your basic pool services, you have come to the right place at S & H Pools. 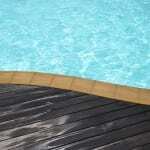 We take the hassle out of all your pool maintenance and servicing, so you can simply enjoy your pool. Contact us today to make an appointment. We look forward to working with you.